Hall of fame coach Jim Winterton covers all of the aspects necessary to become a successful racquetball player. As he trains beginning and intermediate students, Winterton also helps coaches and teachers by explaining instructional techniques. The topics covered in this video are: serves, forehand and backhand, simplified shot selection, general strategies, and conditioning. Coach Winterton demonstrates a progressive system of learning, starting with positioning and leading to footwork and execution of shots. 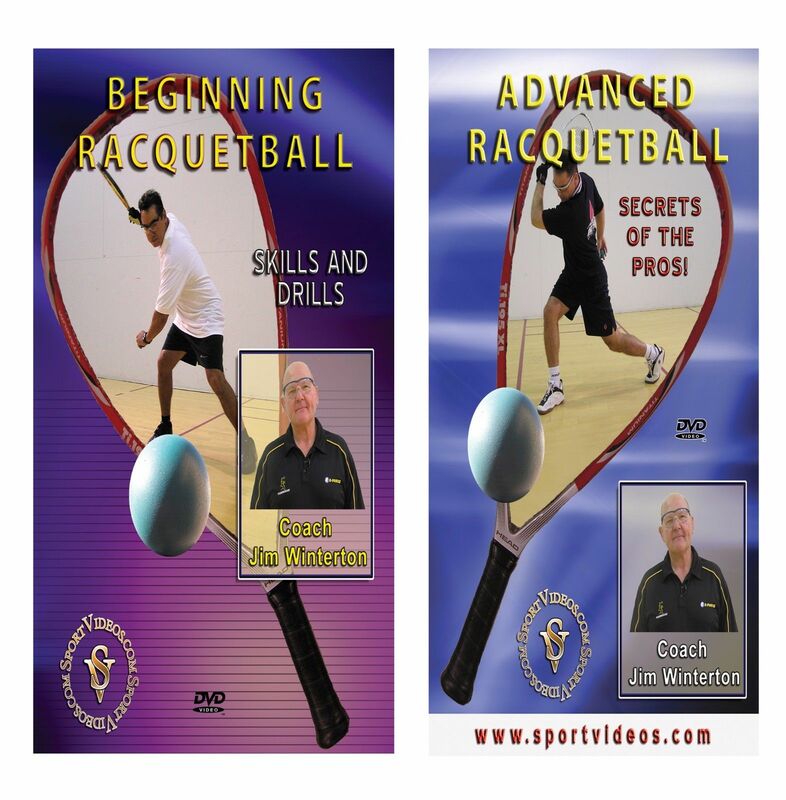 This informative DVD is helpful for racquetball players and instructors at every level. 78 minutes. Advanced Racquetball: Secrets of the Pros! Take your racquetball game to the next level with the help of hall of fame coach Jim Winterton. This comprehensive DVD reveals the techniques, training methods and playing strategies needed to become a champion. The topics covered include: forehand, backhand, a variety of serves, return of serve, court positioning, shot selection, numerous drills to improve footwork, agility, and stroke mechanics, plus much more. This program is an invaluable resource for players, coaches, and instructors, and will clearly demonstrate how to train, practice, think, and play like the pros! 85 minutes.